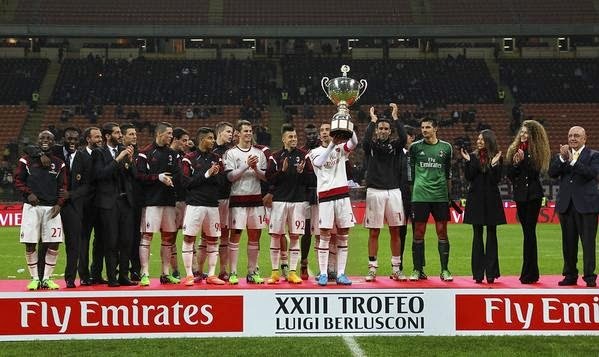 Trophy number three for Milan this year. 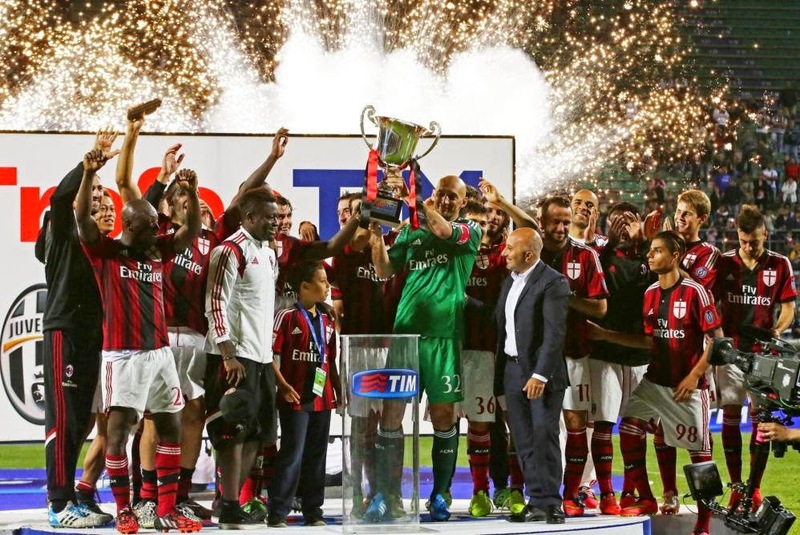 With a goal by Menez, a brace by El Shaarawy, and a goal by Pazzini, Milan are going to need some more trophy polish when they return from Dubai. Pretty much everyone who was healthy got some time, and Agazzi even had some nice saves on Gareth Bale, so you know the stars were aligned. Now as long as El Shaarawy and Mexes don’t have injury concerns, this will have been a pretty perfect friendly. Especially with the cameo at the half from Djokovic, a fervent Milan supporter (maybe Galliani can sign him in the mercato?) Let’s hope our boys don’t get blinded by all of the bling and come ready to play Sassuolo with as much grit as they played with today.